One of the benefits will be the additional free time for drivers while at the wheel, but what people do once they are not actually driving and what impact will it have on driver behavior and health? The University of Michigan interviewed more than 3,200 people about what they would do if they had to no longer pay attention to the road. They found that on average 35.6 per cent would engage in activities that could increase the likelihood of experiencing discomfort in cars, such as reading , working or watching videos. Other reports have shown passengers who experience mild to moderate nausea because of autonomous vehicles could be as high as 66 per cent. Nausea can be triggered when there is a disagreement between what you see and the inner ear's sense of movement (visually perceived movement and the vestibular system's sense of movement). It is not know why some people experience this more than others. 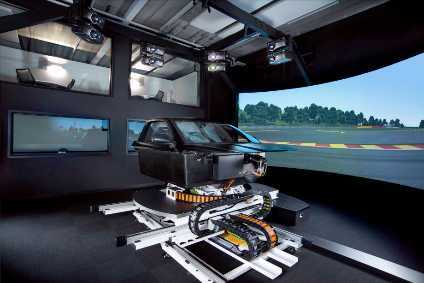 With car manufacturers confirming full hands-off driving within the next three to four years, vehicle simulators are now being used to investigate why we experience car sickness in order to help prevent it. To do this, there needs to be a way of intentionally causing the feeling of nausea, but in a controlled environment. Through its high-tech Driver-in-the-Loop (DIL) simulators, Ansible Motion is the only simulator company who can safely recreate the key triggers for car sickness. Read the full article in The Garage, issue 275, page 27.